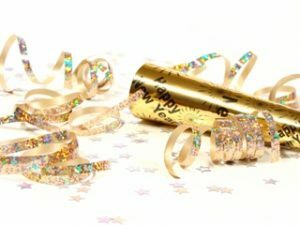 New Year’s Eve in Vail will include bus service enhancements and the presence of police and fire personnel to ensure that a safe and fun atmosphere is provided for residents and guests. For the seventh consecutive year, the town will be rescinding an overnight curfew and eliminating late-night checkpoints in Vail Village due to the long-term success of its public safety campaign. Police Chief Dwight Henninger says additional foot patrols in the pedestrian areas will be used to maintain a family-friendly environment during the holiday. Increased bus service will also be in place with Vail Transit and ECO Transit providing continuous inbound and outbound service throughout the evening. To accommodate late night revelers returning home, outbound service will run uninterrupted throughout the evening with the last ECO bus leaving the Vail Transportation Center at approximately 2 a.m. and the last Vail Transit bus leaving at 2:10 a.m. The late-night ECO Transit Service will be offered for free beginning at midnight. Also, between 10:30 p.m. and 2 a.m. service on the in-town route will be reduced from 7-minute service to every 15-minutes between the Vail Village and Lionshead parking structures. Regular in-town service will resume at 6:30 a.m. on New Year’s Day. The Town of Vail first implemented its public safety measures during the 2001 Fourth of July and New Year’s Eve holidays to reduce crowding and underage drinking in Vail Village. Since then, the Town Council has adopted legislation giving the town the option to relax or reinstate the public safety measures when circumstances warrant. Patrols by the Gore Range DUI Task Force will also take place on New Year’s Eve as part of a national campaign, “Drive Sober or Get Pulled Over.” Those who plan to consume alcohol are encouraged to plan ahead and take the bus, or arrange for a designated driver or an alternative ride home. For exceptional circumstances, vehicles entering after 3 p.m. may be left overnight in the parking structures, compliments of the Town of Vail. Vehicles must be retrieved by 11 a.m. the next day by using an overnight parking authorization receipt available from the Town of Vail parking office or from the Vail Village or Lionshead Welcome Centers. The Town of Vail New Year’s Eve celebrations will be highlighted once again with the Vail Holidays Torchlight Parade and Fireworks at Golden Peak. A Vail tradition, ski instructors and Vail locals form a glowing train as they ski down Golden Peak starting at 6:15 p.m. Viewing for this spectacle will take place at the base of Golden Peak. Fireworks will light up the sky directly after the parade. The event is free and open to the public. For more information on Vail’s public safety measures, contact the Vail Police Department at 970-479-2210.